So when you saw “Water & Senior Portraits” you were probably thinking there would be some cool beach portraits… that is probably what I would have thought! We we would have both been wrong!! 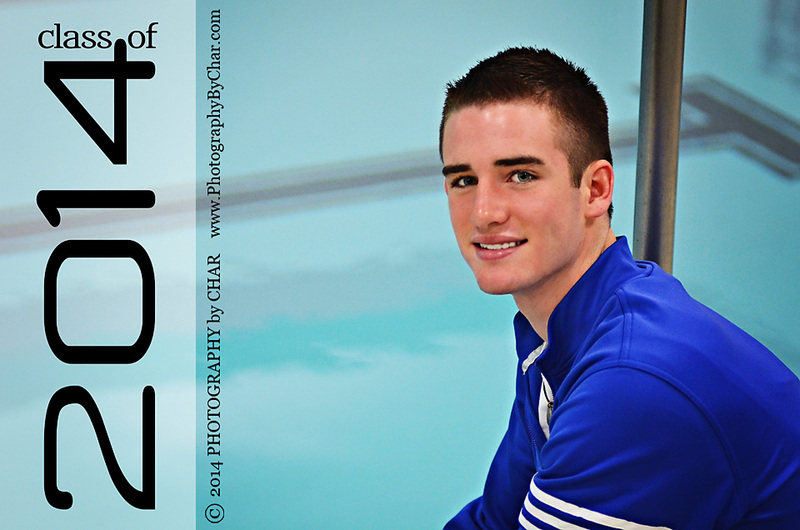 With the theme for today’s post being “Water” and me being a sports photographer, I thought I would share with you some Senior Portraits with you from a photo shoot in the pool area of Marshall High School. This young man is a member of the Marshall High School Swim Team. When he mentioned having some portraits done in the swimming for the sport of swimming I wan’t sure what I was in for. I had never photographed the sport or photographed anything in a pool area of a school. 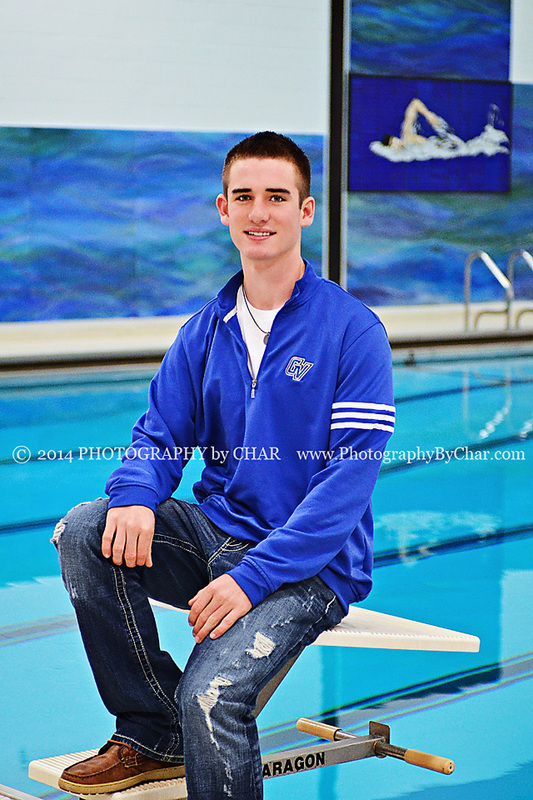 He even brought a pullover from Grand Valley (which is the college he will be attending) and what a combination of blues… The painting along the walls, the blue of the pool and his outfit were all a wonderful combination. As a Sports Photographer & Senior Portrait Photographer… this is just the type of photo shoot I look for! Something to push my skills and creativeness but that also results in showing off ones accomplishments and decisions for the future.